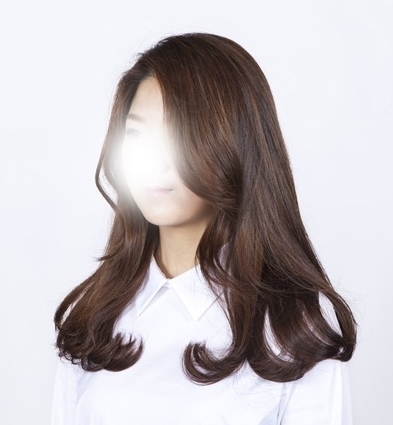 Have you ever envied Koreans with smooth hair that stays in place no matter what? What is their secret? Let me answer it for you, the Korean Magic Perm. 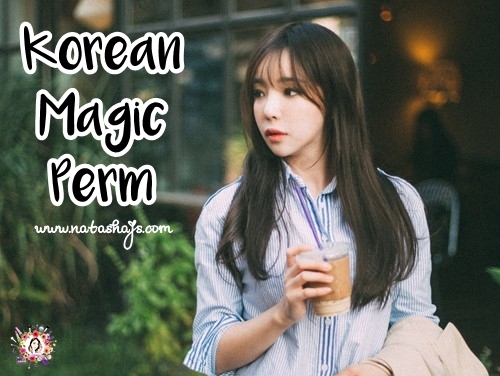 Korean Magic Perm is basically thermal reconditioning or Ionic Hair Retexturing (IHR) that works by killing the hair cells to make it straight or styled in a way you want and stay put no matter what. 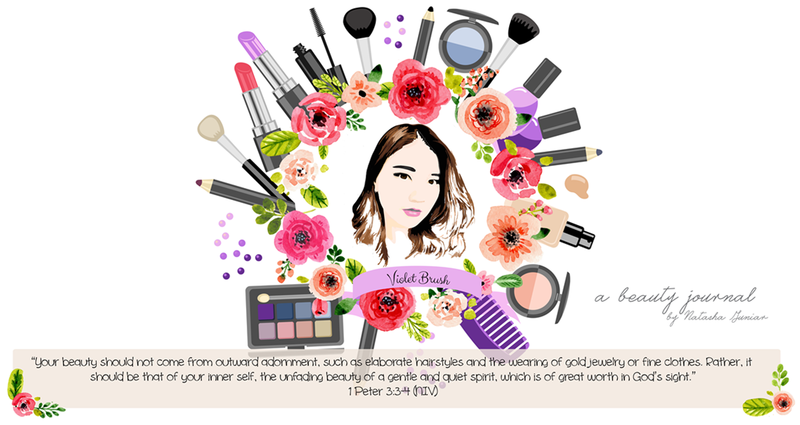 You might often see Korean's C curl hair and the see-through bangs nicely styled withstands the strong wind, storm, even typhoon, maybe. Okay, it's an exaggeration but it's true that when we are busy tidying our messy hair after getting blown by strong wind, Koreans don't need to do anything. Their magic permed hair simply go back to how it was before being blown by the wind. If you're getting magic-ed, keep in mind that there are two types of magic perm, the standard one and the C curl or volume one. The standard one is basically quite similar with rebonding or smoothing with straight hair as a result, while C curl or volume magic, your hair will be curled slightly on the end like blowout hair. 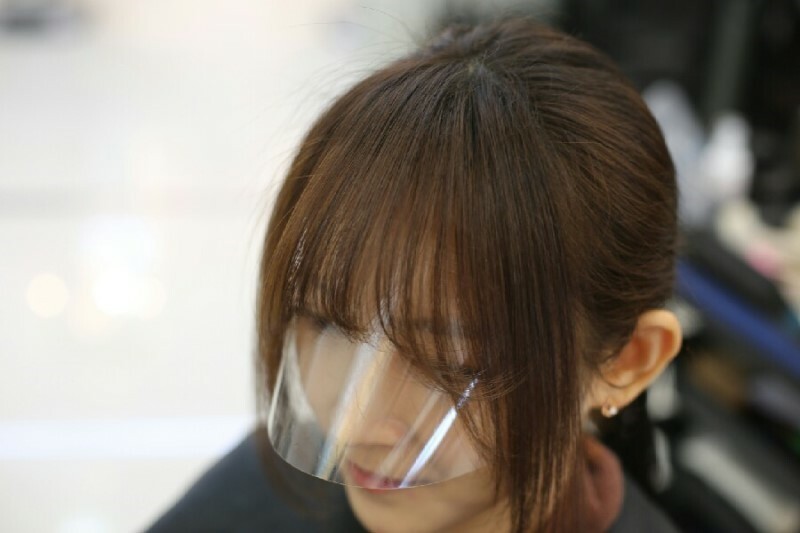 The process itself is quite long, about four hours, and similar to rebonding and smoothing process, you can't wash, pin, move, or even tuck your hair behind your ears for two days. Though I haven't get magic perm done on my hair, I was briefed enough how damaging this chemical treatment could be to one's hair. It's to the point that you have to choose whether you want to bleach or magic perm your hair, you can't do both or you will have to say goodbye to your hair. Well, because I decided to bleach my hair that means I can't get my hair magic permed in the near soon. Ohh ini pernah kejadian sama Stella Lee. Dia di bleach Dan di root perm (kalo di salon yg dia treatment namanya begitu wkwk) terus katanya rambutnya rontok sampe 1/3 jumlah rambut O_O serem banget. Keknya aku gaakan pernah bisa magic perm:" karna aku gabisa resist bleaching:" pengen banget ih padahal kalo bisa stay terus rambutnya ga nyengsol nyengsol:"